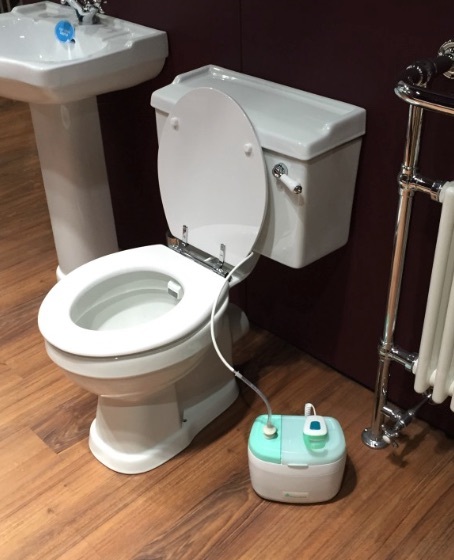 I’ve been waiting a few years now for this product – and had given up all hope – then today I noticed it had arrived and was ready to purchase ….. so here it is – the Aquarius Porta-Bidet. Retailing for the VAT exempt price of £195 (free carry case if you order now worth £25) this might be just what you are looking for – (Pre-order price secured with a £50 deposit until March and free entry into a draw to win one for the deposit price). I’m excited because the chances of finding a toilet that a) I can get on to and b) has a bidet feature, on holiday, is almost nil. However, It’s the thing I love about coming back from holiday – oh how I miss my bidet! So what has this to offer. Well, it’s battery operated which claims a powerful pushing wash nozzle and it gets the water from a reservoir container you place on the floor (so no plumbing or tampering needed). 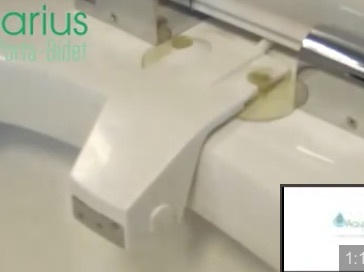 I have a portable spray unit like this that fixes just under the lid – which I bought to make my own portable bidet. My unit came from South Korea and cost about £25 …. but pumping water through it was going to be the difficult part … so let’s see how Aquarius Hygiene do it. Interestingly (and somewhat annoying for me) they can bulk by I assume and offer this part as a replacement ‘spray arm’ for only £9.95. 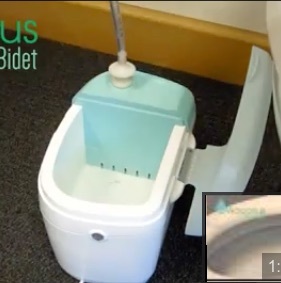 Again, I have taken a screen shot – you fill the unit with water and it has a built in pump and an on/off switch on a tethered handset (which has a hook if you want to hand it nearby). The nozzle retracts after use (and whilst I couldn’t find details on the nozzle spray unit they used – I assume it has a hygiene ‘rinse through’ to keep the nozzle clean? The nozzle is not adjustable – so you get the spray wherever it lands (I know this will be problematic for me because of the way my pelvis ‘sits’ – so if you can’t sit right back on the loo or have pelvic deformity where you don’t sit ‘evenly’ you may just get a wet thigh instead. For me, some water is better than no water! I’m pretty sure to be getting one – so I’ll give it a full review in the summer when I’m on holiday. 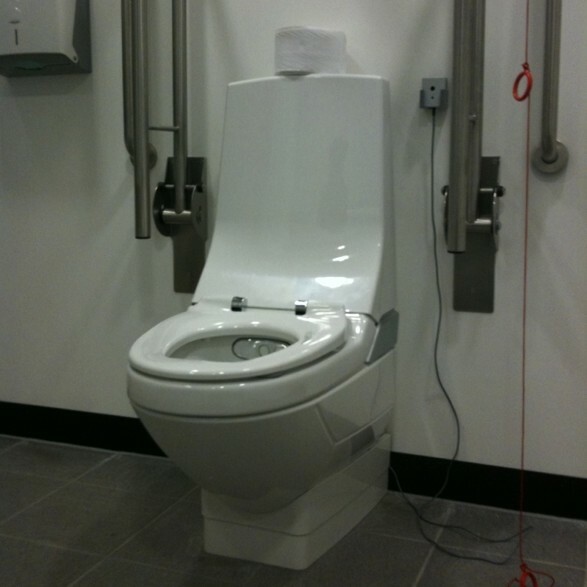 It’s World Toilet Day – what’s happening? This looks very interesting!…I’ve purchased similar items but they’ve been a bit flimsy. Any idea where this is made? If you click on the link it takes you to the company – I’ve bought individual parts from Korea which look identical to some of their components.